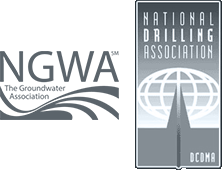 Sonic Drilling – Connelly And Associates, Inc.
We are pleased to offer this advanced form of drilling which employs the use of high-frequency, resonant energy generated inside the sonic head to advance a core barrel or casing into subsurface formations. During drilling, the resonant energy is transferred down the drill string to the bit face at various sonic frequencies. Simultaneously rotating the drill string evenly distributes the energy and impact at the bit face. The sonic drilling method is valuable on projects that require a continuous in-situ sample to be collected, in situations that require avoiding fluid and air while drilling, and on projects where unconsolidated ground formations are encountered. Sonic drilling better maintains its production levels as borings increase in depth. The sonic sample, in addition to being a high quality continuous sample, is also relatively large in volume, just under 5” in diameter. This allows analysis of the samples with adequate sample volume available for environmental protocols. Trust Connelly & Associates to be your only choice for Sonic Drilling in the Mid-Atlantic! Have a Project to Discuss? With two locations and more rigs and experience than any firm in the mid-Atlantic region, we’re confident we can handle your project. © Copyright - Connelly And Associates, Inc.